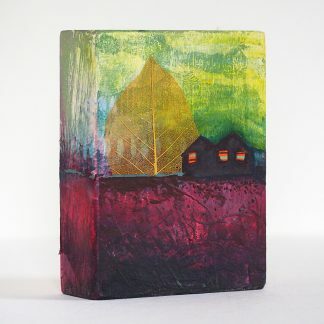 Mixed media fantasy landscape on a small reclaimed wood block. 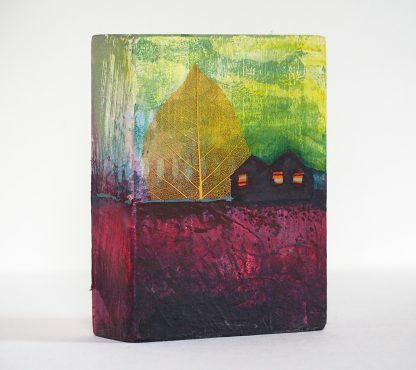 This whimsical art block features a little house nestled beneath a tree. A sawtooth hanger is installed on the back, so it is suitable to hang on the wall or display on a shelf. The block is 3 3/8″ wide x 4 1/2″ tall x 1 3/8″ deep (8.6 cm x 11.4 cm x 3.5 cm).